Chief Justice Satnarine Sharma has been charged and is now on $250.000 bail. The Chief Justice surrendered to the police to face charges following losing his appeal at the Privy Council. He maintains he did no wrong. The media stood outside the home of the Chief Justice in Fairways, Maraval, awaiting the next move. At 12:45pm a car came up the driveway of the CJ’s residence and a few moments later it sped away with both the Chief Justice and his wife inside. This morning Chief Justice Satnarine Sharma lost his appeal in the highest appellate court, the Privy Council, in London. Mr. Sharma’s appeal was tried before five Law Lords arguing that the attempt to remove him from office was politically motivated by the Prime Minister, the Attorney General, the Director of Public Prosecutions (DPP) and the Chief Magistrate. The Privy Council ruled that there was no evidence to prove that there was collusion involving the Prime Minister, the Director of Public Prosecutions, the Attorney General and the Chief Magistrate. They were not convinced that the Chief Justice’s complaint could not be fairly resolved within the criminal courts. My comrade Tyehimba’s essay on Refuting the Myth of Adam and Eve raised very important points that in my view are not discussed nearly enough as we set about the business of hammering out a Caribbean civilisation and reconstructing the Africa as we knew it to be. I wish to further add to his contribution by calling into question something I think he himself should have paid more attention to: the psychological, social and political impact of the historicising of the Adam and Eve story, indeed the entire Old Testament as well as the New Testament and its central figure. Much attention has been placed on the alleged remarks made by Mr. Larry Achong at the Chatham Youth Centre two Thursdays ago. What the public should realize is that the dogmatic approach of the Member of Parliament has emanated from the head of governance and transcends the smelter issue. It is the view that the honourable Prime Minister believes that he holds the ability to manipulate the citizens of Trinidad and Tobago in whichever ad hoc direction he feels. The Hon. Eric Williams held a unique position in our nation’s history as our first prime minister. The political arena was fairly virgin territory and he was able to invoke in nationals a deep sense of commitment and loyalty to him and his party. However, the Hon. Patrick Manning has not done anything that would cause nationals to senselessly and blindly follow him in any direction he chooses. We live in a time when more people are being educated and are able to make viable contributions towards the nation’s development. There is neither room nor any need for a dictator here, nor is there room for one who seeks to make mockery of the tenets of democracy. Prime Minister Patrick Manning says the PNM is planning to create “mixed communities” on Caroni lands, so as to avoid ethnic confrontations that plague other countries around the world. Besides Alcoa not even referring to its highly-touted new technologies for “safely” disposing spent pot lining (SPL), both the company and the Government have made no reference to the proposed plant being used for recycling aluminium cans and other waste. If Alcoa were to promise to absorb, say, 75 per cent of the beverage cans that prove to be as dangerous to our environment as smelters, I’ll probably back its construction. In the UK, where an estimated five billion cans are used every year, Alcan has established the only dedicated recycling plant for beverage cans. In a reliable Guardian poll published on Thursday 2 November, ninety-five percent of persons interviewed accused Cabinet Ministers of being increasingly arrogant, insensitive and disrespectful of the polity that elected them. Consider the obscene and vulgar conduct of bad john MP Achong at the Chatham Youth Centre. Against his own Point Fortin constituents. That is the beginning of the end of the Manning regime for they are sowing the seeds of their own political demise as they did in pre-1986. Power has corrupted them absolutely. The “Indians” Are At It Again! 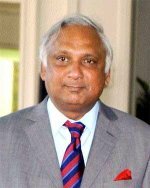 According to headlines in the major dailies, and substantiated in the accompanying articles of Nov.12, 2006; people of Indo-Trinidadian descent are besieging the visiting Vice-president of India for relief from the discrimination suffered daily in Trinidad and Tobago at the hands of the Afro-Caribbean and other people. This letter is in response to those pleas. I think Alcoa spokesman Wade Hughes is “damn farse and outa place” (let him go learn our dialect) to suggest that Trinidad is “ideally positioned to become the aluminium hub of the Caribbean”. But Hughes got his license to make such insulting pronouncements from none other than Prime Minister Patrick Manning. When the PM referred to his fellow citizens, distinguished and ordinary, as being “dotish”, what could we expect from a “preferred” alien? Hughes and Alcoa, thanks to the “dotish” stance adopted by Manning and company on constructing aluminium smelters here, have been given “rank” over all of us natives. It was always this way as governments genuflected to multinational corporations, making them overlords of our nature-given resources. PM Manning, Minister Rowley and Alcoa have assured the Chatham villagers that the proposed third generation, state -of-the-art aluminum smelter earmarked for construction in the ecologically fragile and sensitive S.W. Peninsula will pose no serious threat to the human, physical and ambient environment. Accordingly I wish to suggest that having regard to this undertaking Chaguaramas would appear to be a superior site to Chatham as the preferred location for the Alcoa plant.